Things are jumping in the bakery today! We have an exciting week ahead. Wednesday is National ∏ Day! We celebarte Pi (3.14) on March 14th! Math classes and schools all over the Valley are celebrating this magical number. Want to surpise your favorite student and his or her math class? 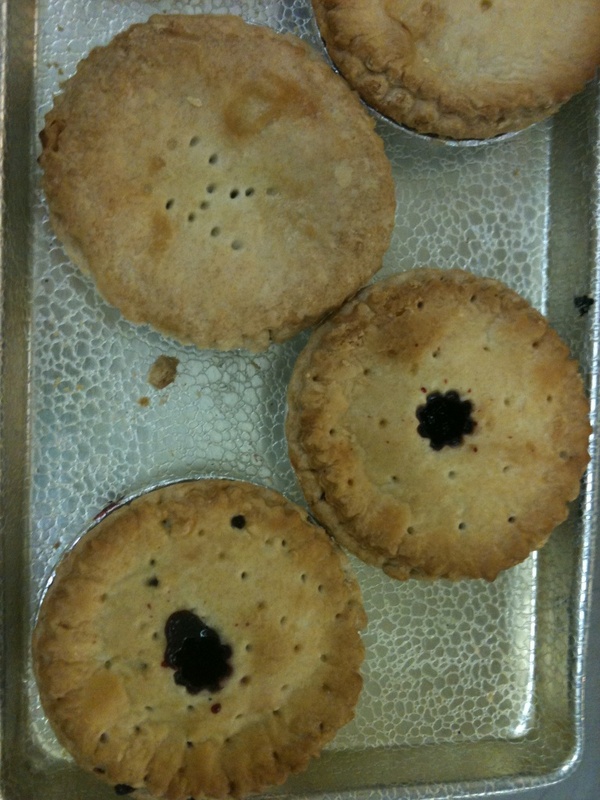 Send our Lunch Pies to school as a treat! 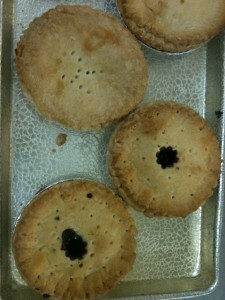 We have a Coupon special on Wednesday, get two lunch pies for $3.14! Please call ahead if you are planning a classroom surprise to ensure that we have ample supply. Saturday is St. Patrick’s Day. 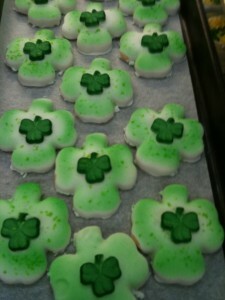 Come on in and get our delightful shamrock cookies, cupcakes and irish soda bread! On this day, everyone has a little bit of Irish in them. Celebrate, wear some green, and enjoy some green treats! Clip Our Money Saving Coupon!